Rev J H Barr joined on Sep 13th - left Jul 19th but years not known! 1896 - 1900 The Cadet magazine observed that there were 6 chaplains in the four years before 1901 including some periods with none. Left to become an Army chaplain at Chatham. The Cadet article describing his departure says he joined in Sep 1901 yet earlier editions confirm the June 1903 date. 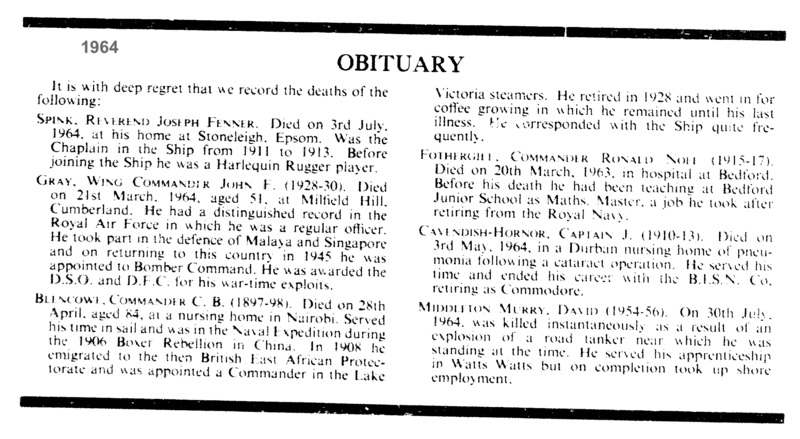 Described as “tactful, conciliating, keen and sympathetic, he has been a favourite alike with his colleagues and generations of cadets.” The post of padre had been ill defined before his appointment and he also extended the roll into games master and sport. He was extremely well regarded. The Cadet refers to him in 1908 yet this conflicts with dates for other named padres. I've included him here for completeness. Also games master. Joined as padre and games master from Weymouth College. He also played for the Harlequins rugby team. Moved to the Cathedral School Bristol. Rev J H Barr BA. A graduate of Christ’s College Cambridge (a rowing, football, swimming and Warer polo blue) and previously curate of Beeston (Notts). He moved to the living of St James, Congleton, Cheshire. 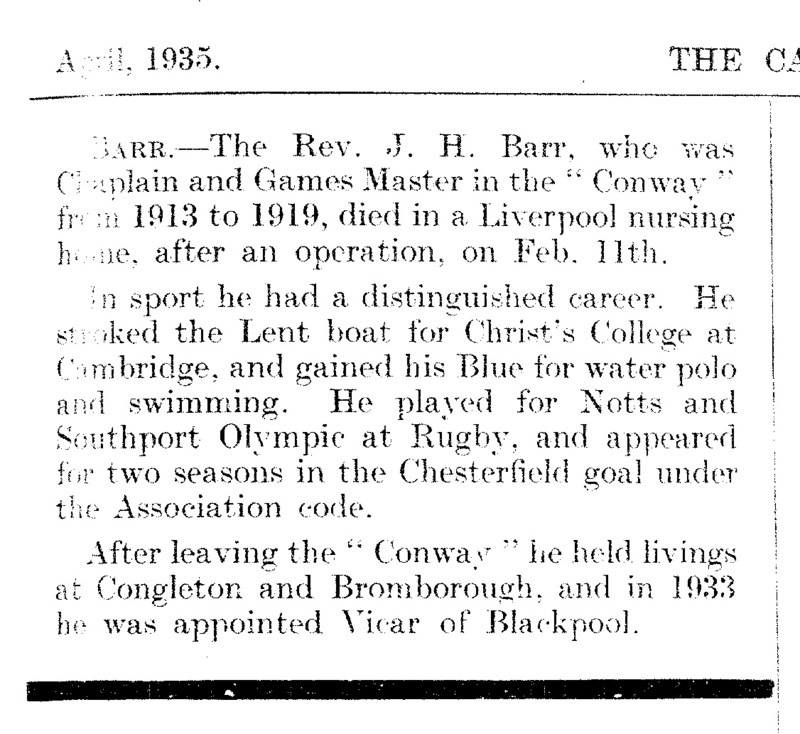 Left to be instituted and inducted as Vicar of St Annes, Sale, Cheshire on 11 April, 1925. 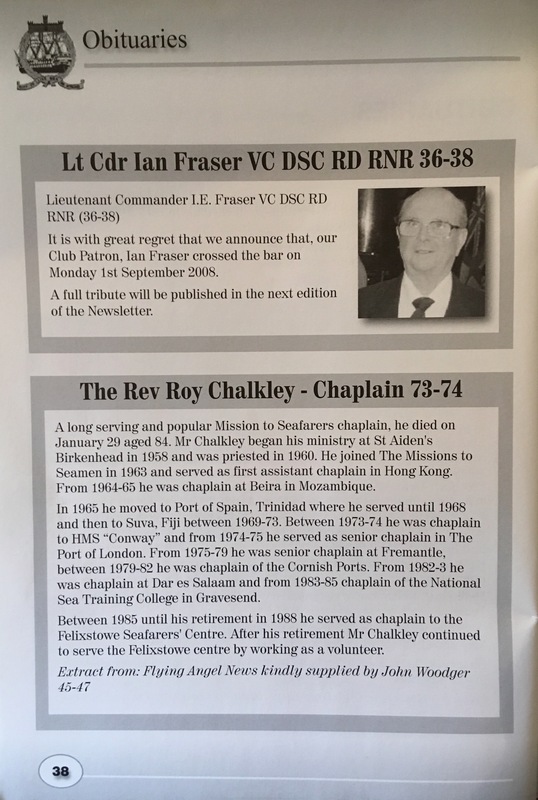 He had formerly served as Chaplain to HMS Conway. “A great sportsman, active and quick in movement, much wider in his views on churchmanship and more tolerant.” Mr James resigned the living in 1931 to go to Hartfield in Sussex, where later he died." He was Rector of Staplehurst from 21st December 1951 to his retirement on 29th September 1991, the longest serving Rector since the establishment of the Rectorship in 1245. A memorial window was installed in the Parish Church of All Saints dedicated to his memory. The window, with its Welsh theme, has in the centre light, St David, Patron Saint of Wales, with other Welsh symbols, including the dragon, daffodil and leek. The arms of the Vickery family and Conway are in other areas of the window. Joined Conway from TS Mercury. Small and wiry, he was an Olympic long distance runner representing Great Britain in the Marathon at the 1936 Olympics in Berlin. He was an exponent of the Finnish Style of running which meant keeping your heel down and literally sloping over the ground to save energy. To make it more effective you had to lean forward slightly at a specific angle to provide the necessary thrust to maximize forward motion. In his day he could sure cover the ground and a truly remarkable speed and was the very devil to keep up with. Fought in the Western Desert during the War. As Padre he was allotted the task of holding and distributing pocket money to Cadets hence the phrase “Yes Yes - here's your five shillings”. 1969 - 1973 Rev. Alex Harrison. “He is in the 71 photo sitting next to Brookie. If memory serves he was an ex RAF sky pilot - I seem to recall the RAF wings on his vestments.” Seconded from the Missions to Seamen.